HOME HEATING: DO NOT USE ANY UNITS OR FUELS FOR HOME HEATING THAT ARE NOT DESIGNED FOR THAT USE. KEEP CHIMNEYS CLEAN AND DO NOT BURN ANY RUBISH IN FIREPLACES. KEEP OIL BURNERS CLEAN. TEST YOUR SMOKE AND CARBON MONOXIDE DETECTORS. CARBON MONOXIDE (CO) IS A COLORLESS, ODORLESS, AND TASTELESS TOXIC GAS. 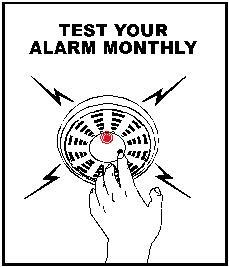 IF YOUR CO ALARM IS ACTIVATED CALL 911 AND EXIT THE HOUSE IMMEDIATELY . DO NOT VENTILATE BY OPENING WINDOWS OR DOORS. THIS WILL MAKE IT VERY DIFFICULT FOR FIREFIGHTERS TO LOCAL THE SOURCE OF THE GAS. REMEMBER SINCE CO IS A SILENT KILLER IT CAN ONLY BE DETECTED BY COMPLICATED GAS MONITORS THAT OUR DEPARTMENT AND OTHERS IN THE AREA HAVE AND A CO ALARM ACTIVATION SHOULD NOT BE TAKEN LIGHTLY. AGAIN CALL 911. HAVE A SAFE AND HAPPY HOLIDAY. 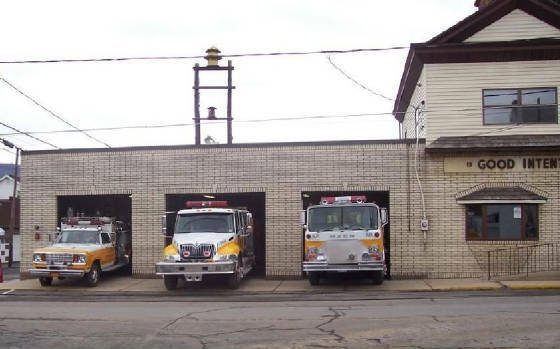 For over 100 years the Good Intent Fire Co. has protected the borough of New Philadelphia. We are a 100% volunteer fire department. Our members take time out of their busy lives and families to maintain equipment, run fundraisers and respond to emergencies at all hours of the day. New Philadelphia is a small coal mining town in north eastern Pennsylvania. The small borough of just over 600 homes, sits on state route 209 half-way between Pottsville and Tamaqua, in a part of Schuylkill County known as the " Schuylkill Valley". WE WOULD LIKE TO THANK THE NEW PHILADELPHIA COMMUNITY ORGANIZATION FOR THE PORTABLE PUMP THAT THEY PURCHASED FOR US. IT WILL BE USED TO REPLACE AN OLDER PUMP THAT WE CURRENTLY USE. THIS YEARS FLOODING BROUGHT TO ALL OF OUR ATTENTION THAT IT WAS TIME TO UPGRADE AND THESE LADIES GRACIOUSLY VOLUNTEERED TO BUY IT FOR US.